Feeling patriotic? 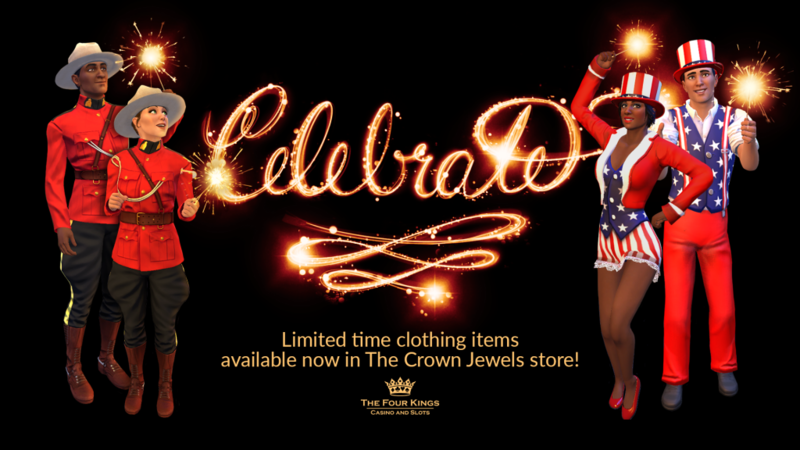 We have two BRAND NEW outfits at the Crown Jewels, available now! Celebrate Canada Day with the Mountie Uniform, then get ready for some Independence Day fireworks with the Uncle Sam Costume. Show your pride in the stars and stripes or the Great White North. Get them quick before they’re gone! Happy long weekend to all our American and Canadian players!